Lelit PG027 5 litre electric steam boiler and Lelit PG 036/7 iron. Delivers up to 4.5 hours of continuous ironing. FREE Teflon Iron Shoe included! 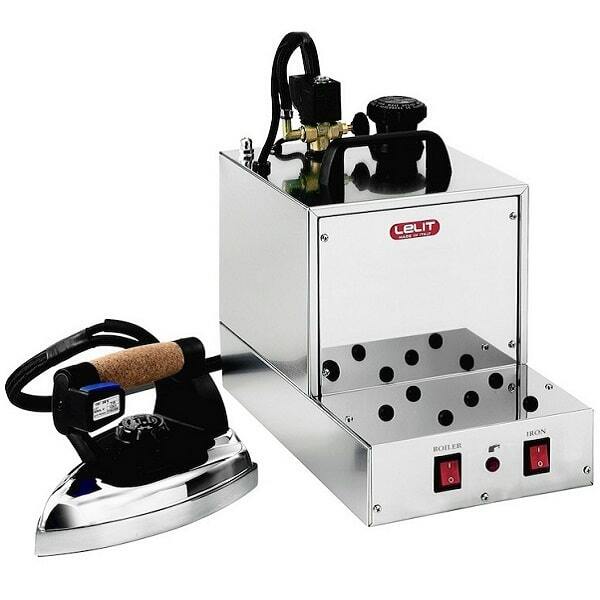 Produces powerful jet steam to target creases and speed up ironing. Made from long lasting stainless steel. In addition, adjust steam output levels for great control over ironing results. Lelit PG036/7 comes with easy grip cork handle and weighs 1.8kg. 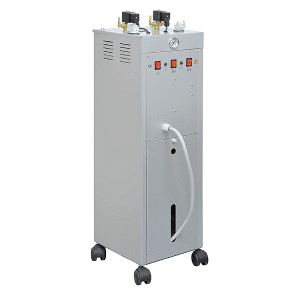 Lelit PG027 5 litre steam boiler with iron. Steam capacity delivers up to 4.5 hours of continuous ironing. 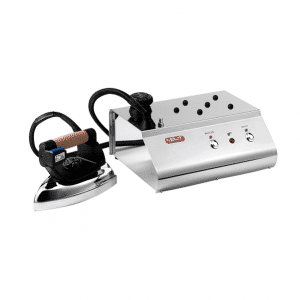 Produces powerful jet of steam to target creases and speed up ironing. Adjust steam output for great control and professional ironing results. FREE Teflon Iron Shoe included! We sell the Lelit PG027 commercial electric steam boiler and iron to busy professionals across UK and Ireland. This tough stainless steel boiler is built for hours of ironing each day. Use tap water to fill up the boiler. As a result of it being stainless steel there is no need to use soft water or ironing water. Use the discharge tap to quickly and easily rinse out limescale deposits. Incoloy heating element resists corrosion and is very durable even at high temperatures. Manually adjust steam output and power on the Lelit PG027 for great control over steam levels. As a result get the right level of steam supply without wasting steam and electricity. Pressure cap, thermostat and pressure switch fitted for safety. Pilot lamp indicates when the steam function is ready. In addition, refill boiler when indicated by the second pilot lamp. For extra convenience it is easy to move the Lelit PG027 because of its handle. Only lift the boiler when it is cold. 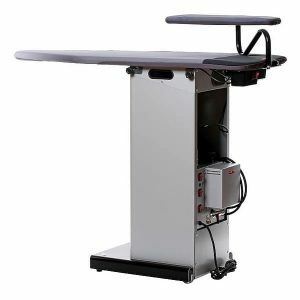 Requires only single phase electricity supply 230v-50Hz. It is therefore very simple to install this boiler. Fitted to the Lelit PG027 5 litre steam capacity is a Lelit PG036/7 steam iron. This is very effective at ironing out creases. Target creases with powerful steam jet as a result of the special holes in the iron tip. 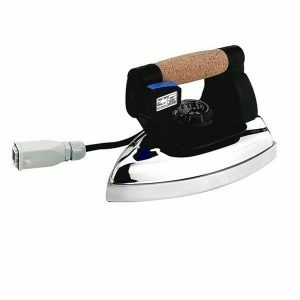 As a result of the cork handle and weighing 1.8kg it is ideal for hours of ironing. The cork handle on the iron stops hands from sweating. 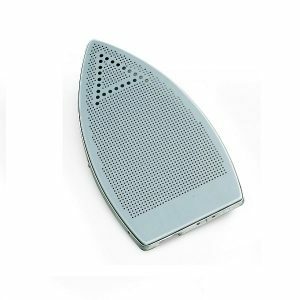 In addition the Lelit PG036/7 iron has a strong aluminium sole made for years of ironing. Easily alter iron temperature depending on the fabrics that you are ironing. Simply switch the steam button on Lelit irons to suit either left-handers or right-handers! FREE Teflon iron shoe included! When you purchase products you will also be covered by a manufacturer’s warranty where applicable subject to a 3 month maximum period. Original proof of purchase must be produced for all repairs subject to warranty. This warranty is void if in our opinion the product has been damaged by accident, mishandled, altered, improperly serviced, or repaired by a customer where such treatment has affected its performance or reliability. In the event of such misuse/abuse by the customer, costs for repairs plus courier costs will be charged to the customer.